Lettering will introduce kids to the basics of calligraphy, traditional lettering skills and the principles of design. Kids can make greeting cards, project covers, banners and more. They'll also discover many unique calligraphy projects, such as a 3-D letter tower and letter jewelry made from baking clay. Kids who would rather use a computer can explore the chapters on newsletter and letterhead design and layout. 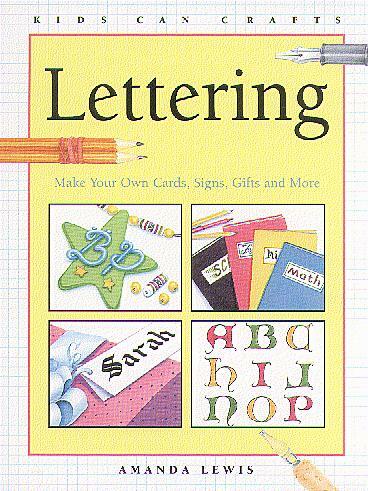 A great book for creative minds, Lettering includes alphabets of beautiful letters and instructions for more than 20 eye-catching projects for home and school.